Music is universally enjoyed, regardless of location, culture, religion, or race. That’s not to say that each genre and style is everyone’s cup of tea, but anyone typically has an affection for particular beats and tunes. For those who make music their living, the theory is that they too should enjoy it. But what happens when enjoyment takes a backseat to something that’s not? 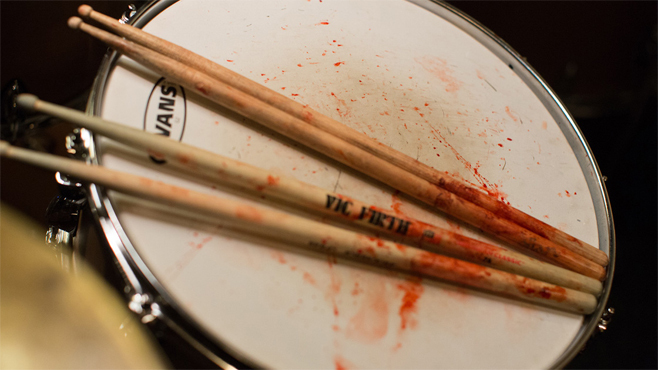 Last year’s Inside Llewyn Davis presented a somber portrayal of a musician who’s more concerned with surviving than enjoying his craft, and this year’s Whiplash does something similar, except perfection and the desire to be one of the greatest takes precedence over enjoyment. This entry was posted in Movies on October 25, 2014 by Jun I. This entry was posted in Television on October 24, 2014 by Mo W.
When Ghostbusters opened in 1984, it was an instant success. Not only did it hit comedy gold, but it cemented itself as a box office success and broke all kinds of records at the time, in fact it still sits at #91 on the top 100 Domestic Box Office Gross list (Box Office Mojo). It was obviously successful enough to garner a sequel which ultimately wasn’t quite as good, or successful, but still a box office hit. Since then, Sony has been trying to make a sequel with several start ups that never came to fruition lead by Dean Aykroyd. A large part of it possibly had to do with the fallout between Bill Murray and Harold Ramis, but regardless, nothing has gotten off the ground until now. Back in January, Variety reported that Paul Feig (Bridesmaids, The Heat) was being courted for the Ghostbusters 3 directing and producing gig after Ivan Reitman dropped out shortly after Harold Ramis’s passing. And more recently it was reported that Feig was re-teaming with “The Heat” writer Katie Dippold for an all female cast reboot of Ghostbusters. Upon hearing this news, it’s tough to describe my feelings as I’m overwhelmed with intrigue, excitement, disappointment, and overall confusion. This entry was posted in Movies on October 21, 2014 by Mo W.
No other major event or era has as many films set during its period of time than World War II. Whether they be the heroic, victorious tales that were common from the ’40s until the ’70s or the gritty, morality-focused stories of survival from the ’80s and on, there will always be an audience for American films about WWII, and thus they will never cease to be made. 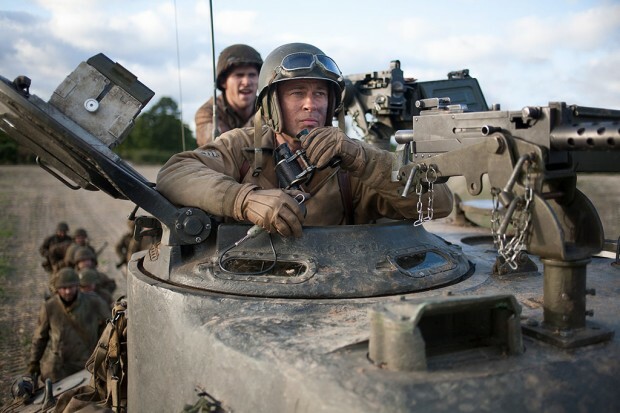 Lately, though, there has been a noticeable lack of large-scale, brash and loud films that showcase how the battlefield shapes soldiers’ personalities and psychologies. Saving Private Ryan is the most noteworthy of these, and Letters from Iwo Jima is arguably the most recent. In steps Fury, a tank film directed by David Ayer, known for his work on crime films like Training Day and End of Watch. Given that those films were known for their sharp and visceral portrayals of Los Angeles street crime by closely following their characters, to see how those techniques would shape the storytelling aspect of a war film taking place inside a tank was the film’s biggest draw for me. While Ayer has certainly crafted an intense and violent film that constantly reinforces the message of “war is hell,” it never goes beyond that and as a result feels frustratingly constrained. This entry was posted in Movies on October 19, 2014 by Jun I. After hearing good buzz about Gillian Flynn’s thriller novel and out of anticipation for the film adaptation’s release, I read Gone Girl a few months ago and found it to be an cynical and entertaining page-turner about a marriage gone wrong. Sounds like a good match for Fincher, known for tackling cold, dark material in his work on Seven and Netflix’s House of Cards. With him at the helm, Gone Girl turns out to be a sleek, engaging film that never loses its suspense and comes with a healthy dose of nihilism. This entry was posted in Movies on October 11, 2014 by Jun I. Because they loved it so much last time, Andrew and Jason will be sharing one of their email conversations. This time they’ll be discussing the recent Simpsons takeover at the Hollywood Bowl. Let’s pass it to Andrew and get this puppy started. This entry was posted in Television on October 6, 2014 by Andrew B. 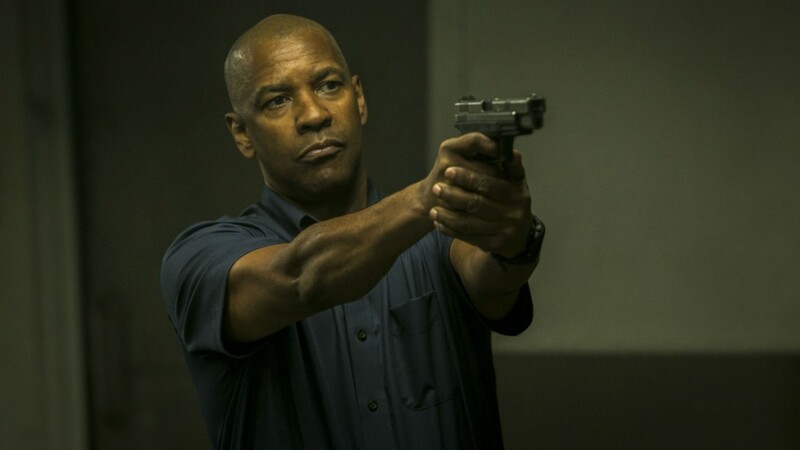 Watching The Equalizer brought back memories of other, older films that influenced it – movies like Dirty Harry and Death Wish, where characters played by Clint Eastwood and Charles Bronson became iconic images of the gritty, vengeance-seeking antihero. That’s not to say that Antoine Fuqua’s latest flick should be held in the same regard as those two, but there’s no denying that it delivers what it promises – unflinching, gratifying violence conducted by an cool-headed, justice-seeking vigilante who’s willing to kill. This entry was posted in Movies on October 4, 2014 by Jun I.